Bailey has gone Bonkers Easter Sale! Running from April 1st 2019 through to May 6th 2019 at all our dealerships nation-wide. 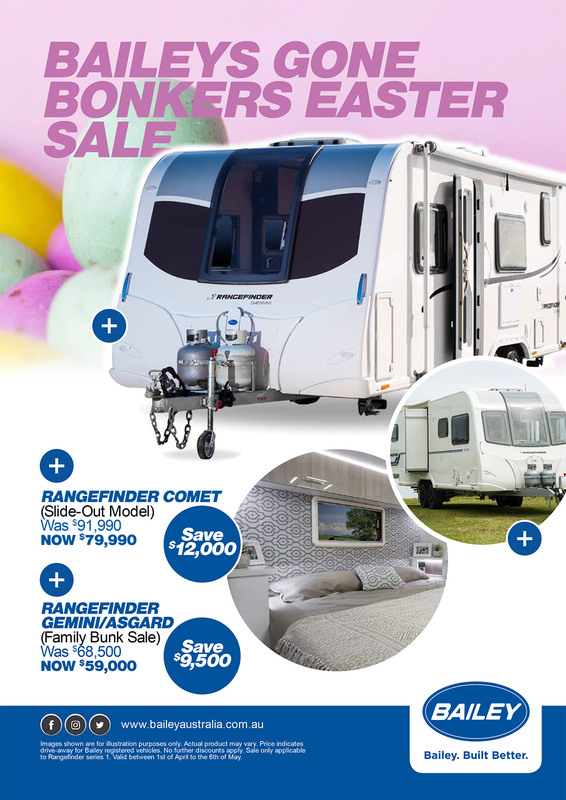 Additionally the sale features the family orientated, Rangefinder Gemini (2-bunk) and Rangefinder Asgard (3-bunk) models. We’ve wiped $9,500 off the price. Reducing it to $59,000. Don’t miss out on this sale – on now for only 6 weeks! Dealerships located in Bailey Victoria (Campbellfield), Bailey New South Wales (Morriset) and Bailey Queensland (Loganholme).